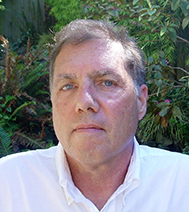 Ronald Purser, Ph.D. is a professor of management at San Francisco State University where he has taught the last sixteen years in both the MBA and undergraduate business programs. He received his doctorate in organizational behavior from Case Western Reserve University. He started studying and practicing the Dhamma in 1981 at the Tibetan Nyingma Institute in Berkeley, and began formal Zen training at the Cleveland Zen Center in 1985 under Koshin Ogui Sensei, who had been Shunryu Suzuki’s personal assistant in the early 1960’s. After returning to San Francisco in 1997, he continued to study and practice with Zen teachers and Tibetan lamas, and recently was ordained as a Zen teacher in the Korean Buddhist Taego order. More recently, Dr. Purser has directed his studies to the Nikayas and Pali suttas literature under the direction of Shaila Catherine. His recent blog, ‘Beyond McMindfulness’ in the Huffington Post has spurred debate and discussions in the Buddhist community. He has been interviewed by The Buddhist Geeks, The Secular Buddhist, and The Naked Monk has spoken at the First International Conference on Mindfulness in Rome, as well as City University of New York (CUNY) annual fall Mindfulness Lecture series. His writings focus on the value of Buddhist practice and Buddhist psychology for transforming organizations, institutions and society.